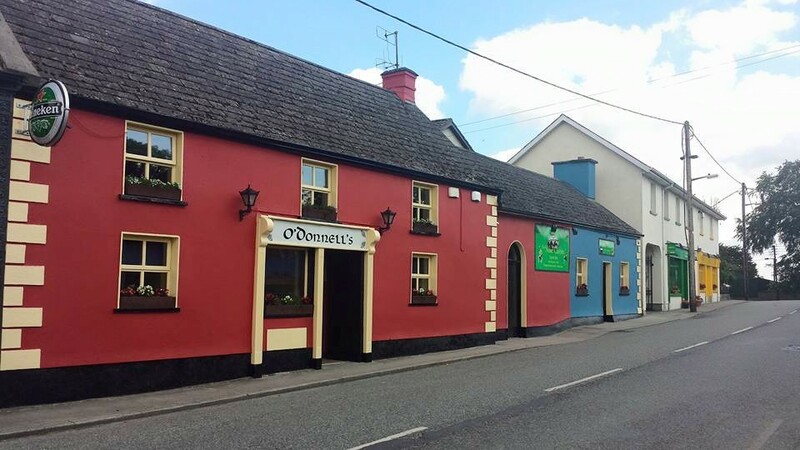 O’Donnell’s is a country pub in Bennettsbridge, County Kilkenny. Under the leadership of husband and wife team Derick and Margaret O’Donnell, the pub has maintained its age-old reputation for providing a warm welcome and a great pint of Guinness. O’Donnell’s regularly hosts live music events, and was used as a setting in the Jim Sheridan film, The Secret Scripture. 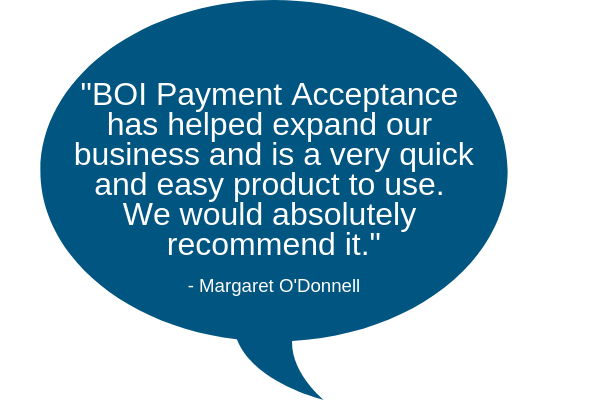 O’Donnell’s was not accepting card payments until BOIPA started working with Margaret and Derick in 2015. This was reducing the average spend-per-head the pub was getting out of its customers, many of whom no longer carried cash. We spoke with O’Donnell’s proprietor, Margaret O’Donnell, to find out how switching to BOI Payment Acceptance has kept customers in the premises longer and helped increase their expenditure*. Until 2015, O’Donnell’s only dealt in cash. The proprietors had long been aware they would get more spend out of certain customers if they could support card payments, but the costs of merchant services had seemed prohibitively expensive. This posed a problem for the growing proportion of customers who now preferred card payments over cash, particularly since the introduction of contactless. Whenever they ran out of money, these customers would either leave the pub to use the local ATM, or take their business elsewhere. Most locals knew that if they didn’t have enough cash on them, they needn’t go to O’Donnell’s in the first place. And as if this weren’t bad enough, O’Donnell’s cash-only policy carried a risk as well as a cost. The fact the business had all its takings on-site was common knowledge, which meant both the chance and the prospective cost of a robbery were elevated.  The need to reduce risk associated with having large amounts of cash on-premises. The need to appeal to younger customers, and a growing number of older ones, who prefer card payments. Word got around quickly that O’Donnell’s was now taking card payments. This became a selling point that attracted new customers, as some of the pub’s competitors didn’t have payment acceptance. Some new punters were drawn in by the pub’s new cashback facility, which customers can use to take out up to €100 when they made a card purchase. According to Margaret, swapping cash money for BOIPA funds has had no negative effects on cash flow: “If we have a weekend transaction, it’ll be in our account by Monday evening, which is no slower than when we were driving into town with cash. The money is cleared and ready when we need it.” With card payments, the money automatically goes to the bank account, saving us trips to the branch. One of the factors setting BOIPA apart from other card acceptance providers is its 24/7 customer support for clients like O’Donnell’s. Expert advisors are on-hand via email and telephone to help with issues such as terminal usage, processing refunds, end-of-day settlement and viewing statements. Enabling card payments via BOI Payment Acceptance has been the solution to increasing customer spend and attracting a broader clientele for O’Donnell’s. Their fast-working, easy-to-use card terminal has made card payments possible without holding up service, and brings the added benefit of cashback, which appeals to customers and reduces the risk associated with holding cash on-site. 40-50% of the pub’s transactions are now done via cards through the BOIPA terminal. *Results may vary dependant on the business model involved.